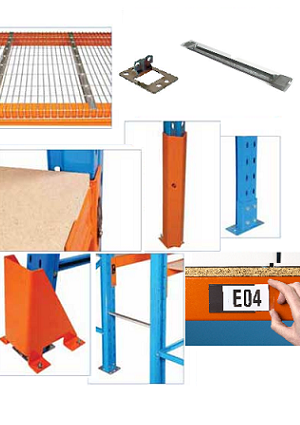 Northside stocks all types of pallet racking accessories needed in a pallet racking setup. Please refer to the table below on the different types of accessories offered. We stock pallet racking footplates in standard an heavy duty grades. We also supply mesh decking for pallet racking and particle boards cut to standard and custom sizes. Our support bars come in standard sizes and can be custom made to cater to specific racking depths. Our warehouses are based in Hornsby and Blacktown in the Sydney Region. We storck pallet racking accessories and can supply to all regions in and around Sydney and Interstate are reasonable prices.